A man with a Punt Gun, a type of large shotgun used for duck harvest. By lining up their boats and coordinating the firing of their single shot weapons, entire flocks of birds could be “harvested” with a single volley. It was not unusual for such a band of hunters to acquire as many as 500 birds in a single day. These guns were banned in the late 1860s. Here is the punt gun in action: video1 , video2. Michael Jackson and Donald Trump in a private jet, late 90’s. 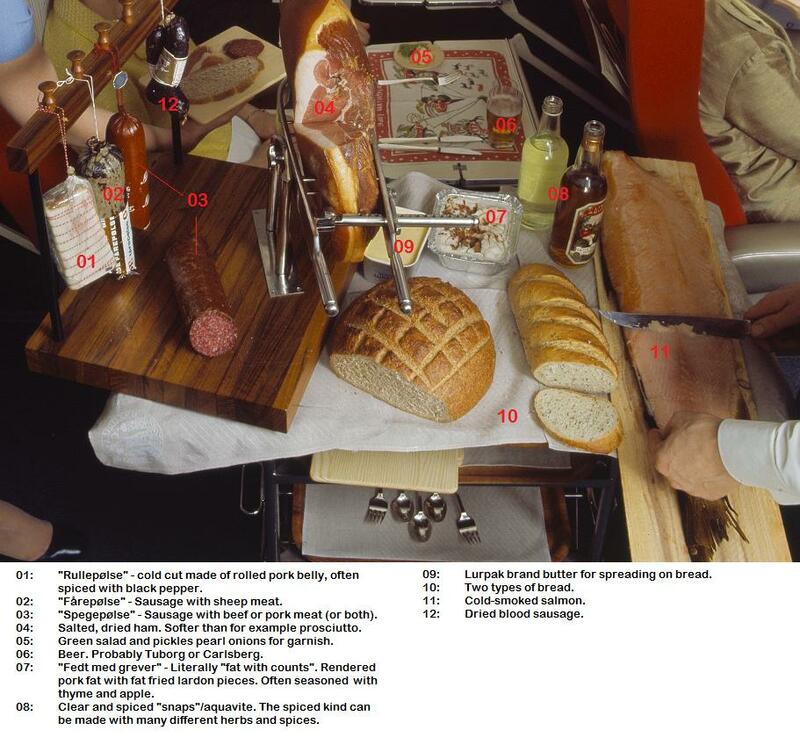 Air hostess and steward serving Scandinavian country style buffet, SAS Scandinavian Airlines, 1969. For the interested, here is a picture describing the food items they are served. As awesome as all that looks, it probably didn’t taste like anything special because pressurized cabins dull your taste buds making normal food taste bland, which is why airplane food always seems a little off. They’ve got to artificially bump up the flavor and juiciness in order to compensate for the effects of the air in the cabin. Lyndon B. Johnson yelling at the pilots of a nearby plane to cut their engines so that John F. Kennedy could speak as Kennedy is seen trying to calm him down. Taken during the 1960 presidential campaign in Amarillo, Texas. In the fall, Johnson campaigned intensely, conducting a memorable train ride through the South. He also pressed for a joint appearance of the Democratic candidates somewhere in Texas. They arranged the meeting at the airport in Amarillo, where campaign advance men stopped all air traffic during the brief ceremonies so that the candidates could address the crowd. But they had not counted on the Republican-leaning airline pilots, who deliberately ran the engines of their planes in order to drown out the speakers. At the close of the ruined appearance, a photographer snapped a concerned Kennedy placing his hand on Johnson’s shoulder, trying to calm his angry, gesticulating running mate. Then, just before the election, Lyndon and Lady Bird Johnson were jeered and jostled by a hostile crowd of right-wingers in Dallas, Texas. President Harry Truman shakes hands with Pablo Picasso. Vallauris, France, 1958. Interestingly, Harry Truman was literally broke after his presidency. He didn’t have much money due to the presidential pension not existing at the time, and he didn’t believe that presidents should be involved in corporate dealings out of respect for the office, so he didn’t do any of that. He wrote and published his memoirs, but ended up getting very little for them due to taxes and assistants that he had to pay. The presidential pension was created specifically because of Truman’s financial state after leaving office, and he eventually began receiving a generous compensation. I find it amusing how people talk about the Nazi’s like the christians haven’t done the same thing during the Inquisition and the crusades. Nazi’s are still reviled, yet christians are popular? Make a choice, hypocrites, or shut the he!! up. You clearly know nothing about the Crusades or the Inquisition. The Spanish Inquisition, though draconian by our standards, was actually more lenient, and ended in more not guilty verdicts, than the civil courts run by the King and his government. Most of the Inquisition’s horrors were played up by English Protestants as propaganda, during the reign of Queen Elizabeth I when a Spanish invasion seemed imminent. And the Crusades were a response to several centuries of Islamic incursions into Christian lands. The First Crusade began because Seljuq Turks conquered half the Byzantine Empire and began slaughtering Christian pilgrims on the road to Jerusalem. Infamous battles, like the Massacre of Jerusalem, were indeed brutal, but were, in fact, entirely common in the warfare of the Middle Ages. Everyone acted the same way. Not two hundred years later, Muslim armies would commit atrocities in Georgia and Turkey that were far greater than the deaths at the hands of Crusaders, and razed the city of Jerusalem to the ground so no one would want it. Also, look at you, edgelord. You can say Hell, your mom’s not going to find out. Really, how far back you want to go? It is true that crimes of this nature have been committed since the dawn of time. However, this does not justify the crimes committed by the Nazis and their allies. Those criminals earned their fate. And, those who support their ideals will also get their appropriate Justice. BTW, the Spanish Inquisition executed 39 person at the pyre, 2 of them in effigy. Lord Calvin executed 6,000, including the Jesuit priest that discovered our circulatory system. The ability for humans to inflilct suffering on others is born out of weakness and lack of insight in the individual, and fostered by the flaw in all of us as a group, in our inability to create a society which is a product of the finest of our knowledge, in justice, equity, compassion, creative will, and love for each other. Our tragedy is that we are lost in a sea of competing ideologies, political contests, hidden schemes to control wealth, religious traditions, and power struggles, while the simple truth blunders on waiting for catastrophe to shape us, while the gift of choice is ignored. Having just looked up the total deaths during the inquisition, it seems to vary from 30,000 up to the millions. Though we cannot arrive at accuracy, we do know that 50,000,000 people died in the world wars recently, and no one was a victor! German fascism rose out of a frustrated Germany burdened with debt after the first world war. We are now burdened with debt once again, and the arms makers are itching for excuses to use them, so lets be careful eh? As to Arabs and terrorism, the school kids recently blowing off their immaturity are catching up to terrorist executions of innocents as we speak, but few are seeing the real ill behind all this. Since our churches are proving to be little more than international pedophilia rings, where are the moral arbiters of the modern age? You certainly cannot look to the governments, muslims, christians or fascists for that can you?? I think the Allies were the victors. Hitler blowing his brains out seemed to indicate as much.